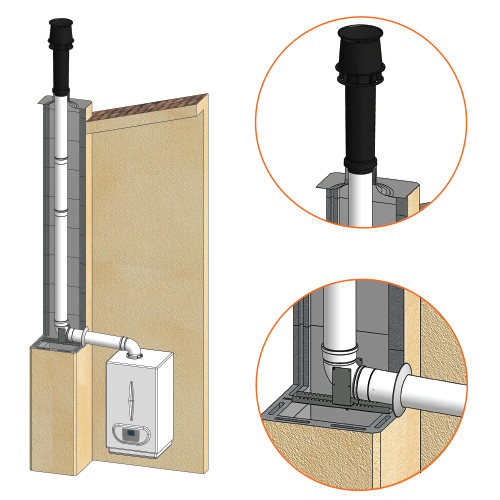 We have conceived, designed and developped an extraordinary system that simplifies the world of flue systems. 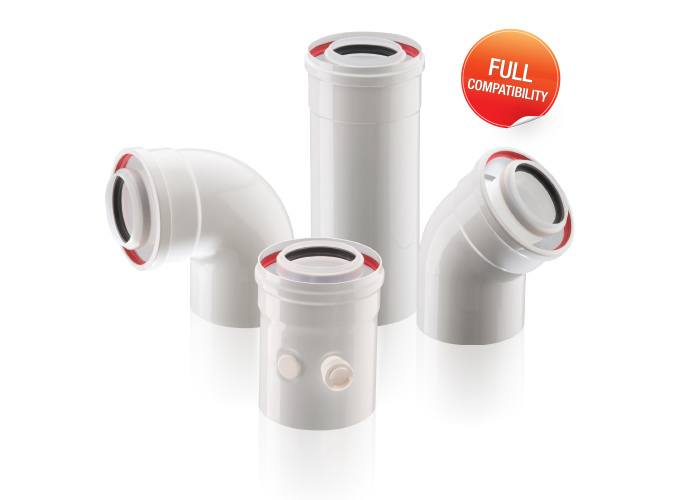 STABILE PAC was born, the coaxial flue system for condensing boilers for domestic use. External wall in aluminum and galvanized steel for a full protection from weathering. Internal wall in polypropylene resistant to acid condensates, with a 3° slope to ensure the correct return of the condensates to the generator. Elbows with constant radius designed to optimize the flow. Suction and exhaust grid with negative lift wing. Roof terminal flue pipe with high aerodynamic efficiency designed to draw combustion air and flue gases, avoiding any stagnation of condensates. 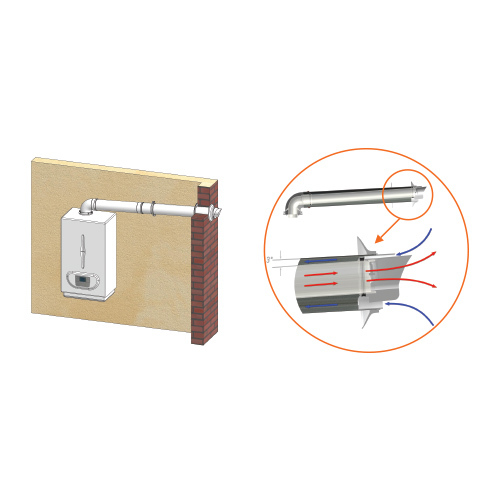 Tested and certified according to the EN 14471 standards – thanks to its modularity – STABILE PAC permits every kind of flue system in compliance with the installation standards regarding application types as “Wall outlet”, “Roof outlet” or “Flue liner”. 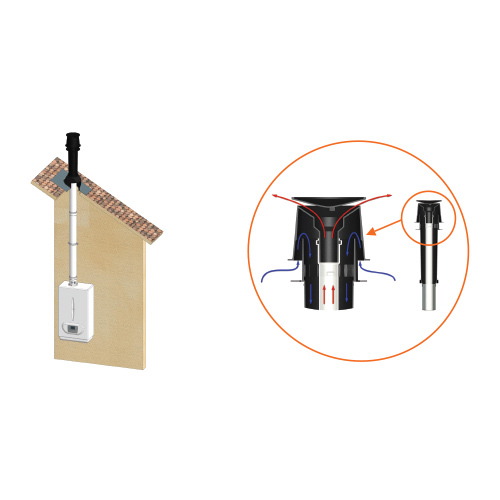 The completeness of range gives the PAC system a full compatibility with every boiler brand, with a unique ease of assembly in its kind, devoid of locking bands. STABILE PAC is “DESIGNED & MANUFACTURED IN ITALY”, a peculiarity that guarantees the quality for which the STABILE stands out in the current market. Our Technical Staff is available for further information or suggestion.